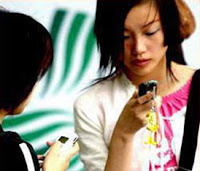 According to a report by the Ministry of Information Industry on 24th December 2007, by the end of November, China had added 78.3 million mobile users for 2007 averaging 7.1 million new mobile users each month for the entire year. 539 million mobile users is not an easy figure to comprehend as its a figure much larger than the population of most countries. With 40% mobile penetration, China still has alot of space for growth as most developed countries has 100% mobile penetration eg, Israel has 117% mobile penetration. If China ever achieved 100% penetration, that figure is going to be 1.35 Billion!